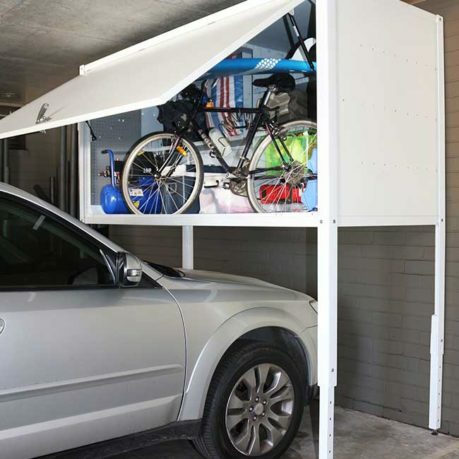 Above bonnet storage lockers are ideal for those living in apartments or houses where extra storage space is needed. They utilise previously unused space and can safely and securely store a range of items to help you free up your living space. 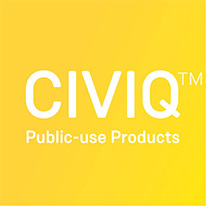 They are ideal for bicycles, golf clubs, surf boards, toys, tools, appliances and anything else you would like to have close at hand. They are a great alternative to renting self storage lockers as your belongings are readily available and there is no rent involved. Keepit Garage Storage lockers are a great investment and add value to your home or business. The lockers are also relocatable. 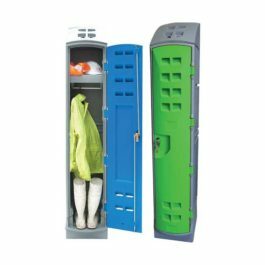 The lockers are constructed of heavy duty steel and have a galvanised finish for fire safety and allow easy access with an auto up lift swing door. They are Australian made and designed. The lockers come with pre-punched holes for optional shelving and a 5 Year Warranty for faulty workmanship and moving parts failure. 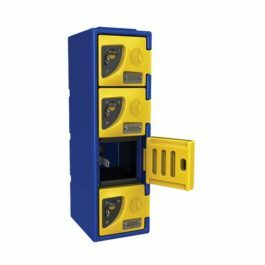 Save $110 per locker if you are the first to install a single ‘Keepit’ locker in your apartment car park level OR a group of body corporate members who together order a total of 4 or more lockers for installation on the same day.